A decades-old anesthetic made notorious as a party drug in the 1980s is resurfacing as a potential “game-changing” treatment for severe depression, patients and psychiatrists say, but they remain wary about potential long-term problems. The Food and Drug Administration earlier this month OKd use of Spravato for patients with depression who have not benefited from other currently available medications. Spravato, the brand name given to the drug esketamine, is a molecule derived from ketamine — known as Special K on the club scene. Ketamine has been shown in some studies to be useful for treating a wide variety of neurological disorders including depression. Regular, longtime use of it isn’t well understood, psychiatrists say, but the need for a new drug to treat depression is so great that the FDA put Spravato on a fast-track course for approval. The drug likely will be commercially available in a few weeks, and patients already are requesting it. Restrictions around its use, though — the drug must be administered in a doctor’s office by providers who are certified with the company making it — mean it may be months before it’s widely available, and longer than that before insurers start paying for it. 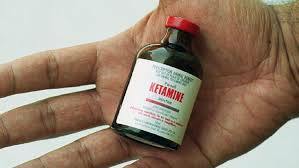 Ketamine was developed in the 1960s as a surgical anesthetic for people and animals. The drug can cause hallucinations and a feeling of “dissociation” or unreality, and in the 1980s it took off as a party drug among people seeking those effects. It remained a common anesthetic, though, and in the early 2000s doctors began to notice a connection between ketamine and relief from symptoms of depression and other mood disorders. Spravato is delivered by nasal spray, which patients give themselves in a doctor’s office. Patients must be monitored while they get the drug and for two hours after to make sure they don’t suffer immediate complications. At the start, patients will get the nasal spray twice a week for four weeks, then taper to regular boosters every few weeks for an indefinite period of time. Studies of ketamine — and specifically of Spravato — have produced encouraging but inconsistent results. Psychiatrists say that, like most other antidepressants, the drug probably won’t help everyone with difficult-to-treat depression. But there likely will be a subset of patients who get substantial benefits, and that alone may make it an incredible new tool. About 16 million Americans experience depression every year, and roughly a quarter of them get no benefit from antidepressants on the market. Thought scientists haven’t determined exactly how ketamine works on the brains of people with depression or other mood disorders, it appears to take a different path of attack than any drug already available. That means that people who don’t respond to other antidepressants may find this one works for them. But a concern among some psychiatrists is that studies have suggested that ketamine may affect the same receptors in the brain that respond to opioids. Ketamine and its derivations may then put patients at risk of addiction — but research so far hasn’t explored that kind of long-term effect. “There might be some potential problems if you used it too aggressively,” said Dr. Alan Schatzberg, director of the Stanford Mood Disorders Center, who led the research that identified a connection with opioid receptors. “The issue is not so much the short-term use, it’s the repetitive use, and the use over time, as to whether there are going to be untoward consequences. “It would be hard for me to recommend the use of this drug for chronically depressed people without knowing what the endgame is here,” he added. Dr. Carolyn Rodriguez, a Stanford psychiatrist who was part of the studies of ketamine and opioid receptors, said she shares Schatzberg’s concerns. 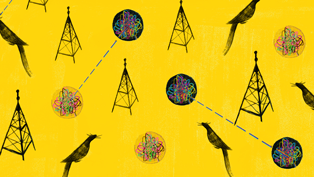 But she’s been studying the use of ketamine to treat obsessive-compulsive disorder, and for some patients the results have been so remarkable that the benefits may exceed the risks. Though the new nasal spray is the first formal FDA approval of a ketamine-derived drug, psychiatrists have been using the generic anesthetic for years to study its effect on depression and other mood disorders. In recent years, clinics have opened around the country offering intravenous infusions of ketamine to people with hard-to-treat depression and other problems. These treatments aren’t specifically FDA-approved but are allowed as off-label use of ketamine. The clinics have faced skepticism from some traditional psychiatrists, but there’s a growing ream of anecdotal evidence that the ketamine IVs work — for some people. Aptos resident Mary, who suffers from depression and other mood disorders and asked that her last name not be used to protect her privacy, said the already available antidepressants weren’t keeping her symptoms at bay, and she frequently felt “one step away from the abyss.” When she first heard about ketamine, from a support group for people with depression and other mood disorders, she was hesitant. The results were quick: Within four days, “the cloud had lifted,” she said. More than a year later, she is still feeling good with regular infusions every three or four weeks. During the ketamine infusion, Mary said she’ll feel the dissociation, which she described as feeling like she’s viewing the world around her as though it were a movie and not her own life. She said she’s pleased the FDA approved Spravato, though she hasn’t decided whether she’ll switch from the IV ketamine to the nasal spray. She hopes that the FDA approval will give some validation to ketamine and encourage others to try it. Mary gets her infusions at Palo Alto Mind Body, where Dr. M Rameen Ghorieshi started offering ketamine two years ago. He’s certified with the maker of Spravato — Janssen Pharmaceuticals, a branch of Johnson and Johnson — to provide the drug, though he doesn’t know when he’ll actually start giving the nasal spray to patients. Ghorieshi said that although he’s been offering IV ketamine for more than two years, he shares his colleagues’ wariness of the long-term effects of regular use of the drug. He hopes FDA approval will encourage further research. Call NOVA Health Recovery at 703-844-0184 for a free consultation for a Ketamine infusion. No referral needed. We offer intranasal Ketamine follow up therapy as well. Alexandria, Va 22306. “Ketamine can play an important role in the treatment of anxiety disorders,” according to Prakash Masand, MD, co-founder, chairman, and CEO of Centers of Psychiatric Excellence (COPE) (https://www.copepsychiatry.com) and adjunct professor at the Academic Medicine Education Institute, Duke-National University of Singapore Medical School (Duke-NUS). “Nowadays, people with anxiety disorders are treated either with a generic antidepressant, such as an SSRI (selective serotonin reuptake inhibitor), an SNRI (selective norepinephrine reuptake inhibitor), or a benzodiazepine and if they don’t respond to one of these, they get a trial of another or several more,” Dr Masand said. However, between 30% and 40% of these patients will not achieve remission, despite 3 or 4 different traditional agents, and even with evidence-based nonpharmacologic therapies, such as cognitive behavioral therapy (CBT) or mentalization-based therapy (MBT), he noted. “No good current strategies are available for these non-responders, so novel agents are being studied — including ketamine, which is accumulating an evidence base as [being] rapidly effective for an array of anxiety disorders, including social anxiety disorder (SAD) and PTSD,” he said. “The current thinking is that eventually, 6 to 12 weeks after initiating treatment with traditional antidepressants, dendritic growth and increased synaptic connections occur but with ketamine, these can occur within 24 hours of the infusion,” Dr Masand said. “Ketamine has been studied and shown [to be] effective with an array of anxiety disorders, including SAD, general anxiety disorder (GAD), and PTSD, although the data on its effectiveness in obsessive compulsive disorder (OCD) are more mixed,” Dr Masand observed. “What is interesting about this study is that the impact of just one infusion lasted for 14 weeks, suggesting that patient[s] with anxiety disorders might have longer maintenance of response than patients with major depression, where the response has been maintained for only one week,” Dr Masand commented. The main concern regarding the use of ketamine for anxiety disorders is the lack of a road map regarding maintenance, Dr Masand noted. “At COPE, we have found that roughly 30% to 40% of our patients being treated with ketamine require maintenance infusions, and we highly personalize this approach so that patients can identify early signs of recurrence or relapse and we can devise a treatment schedule to prevent them,” he said. Some patients continue treatment with pharmacotherapy, including standard antidepressants, benzodiazepines, or a mood stabilizer such as valproate and some patients become more receptive to psychotherapies such as CBT,” he stated. Additional adverse events include nausea or vomiting, which are also mild and transient. Patients may be pre-treated with prophylactic anti-nausea medication, such as ondansetron, to pre-empt these symptoms, he said. “Ketamine for treatment-resistant depression has a robust evidence base and a rapidly-growing evidence base for its use in anxiety disorders,” Dr Masand said. “Given the gaps in current treatment, this promising agent is occupying a more promising role in treatment of anxiety disorders, such as PTSD. Considering how common PTSD is, ketamine can make an important difference for a large number of people who suffer from this debilitating condition,” he concluded. To gain insight into the experience of ketamine treatment in a person with depression and anxiety, Psychiatry Advisor interviewed Kimberly Palmer of Los Angeles, California. Ms Palmer received treatment at the Ketamine Clinics of Los Angeles (https://www.ketamineclinics.com). Ms Palmer works as a program manager for a consulting company where she organizes and runs corporate events for small groups. Psychiatry Advisor: What made you decide to pursue ketamine treatment? Ms Palmer: I was raised in an abusive home, and as an adult I had severe major depression, as well as anxiety. I was treated with medications, such as antidepressants, but they had many adverse events and they ended up making me feel like a zombie, so I discontinued them. I managed okay for a while, but then I had another major depressive episode. I was receiving psychotherapy at the time and it was only moderately helpful — not enough to stop the episode. Fortunately, I knew someone who works at a ketamine clinic. She told me how many patients had been helped by ketamine and I was interested, mostly because the adverse events of ketamine seemed mild and are not long-term. Psychiatry Advisor: What were your experiences during your infusion? Ms Palmer: I felt incredible during the infusion. The best way I can describe it is by referring to the movie Avatar, specifically the scene in which the protagonist is walking through a jungle at night for the first time and touching all the plants, which light up with pretty colors—very vivid, colorful, and not linear. There was the sensation of being on a sort of roller coaster, riding through different scenes. At one point, it felt as though my chair was on a cloud. Then suddenly, the chair disappeared and I was floating on the cloud. It was a wonderful experience. Psychiatry Advisor: How did the ketamine treatment affect you afterwards? Ms Palmer: After only one treatment, it was as if a switch had flipped in my brain that allowed me to digest things and move beyond my trauma. Before the infusion, a lot of what was going on with me had to do with self-esteem issues and negative self-talk. These were behaviors learned over many years. After the infusion, the negative self-talk immediately disappeared. 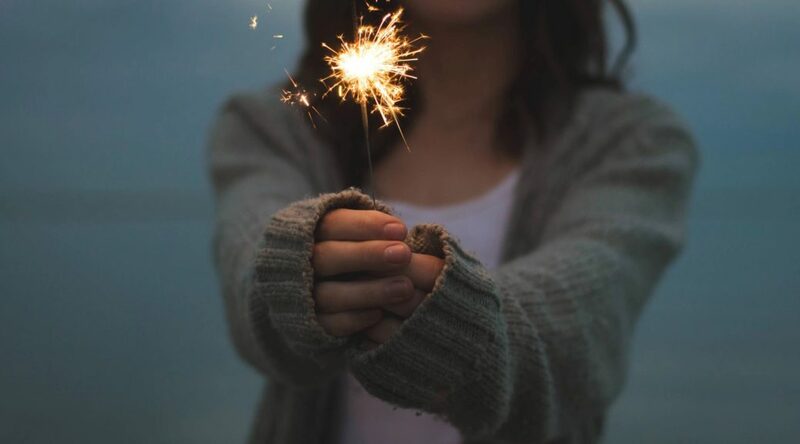 All of those thoughts — such as telling myself I am not good enough — that were preventing me from working through emotional issues, were resolved. I was able to start looking at things more objectively rather than taking them personally, and not take on responsibility for other people’s emotions and reactions. I am currently working with a therapist and a life coach to help me feel more comfortable with communication because I was raised not to ask for things and to put up with anything I’m asked to do. As a result, I have developed a much more positive outlook of myself and the world. Psychiatry Advisor: How many ketamine treatments have you had? Ms Palmer: Over a 6-month period I had 6 treatments, which were all very helpful. Then, 6 months after the conclusion of this first series of treatments, some new issues came up, so I received 2 more — one regular 60-minute treatment and one extended 90-minute treatment. Recently, with the holidays coming up, I decided to pre-empt the effect of some stressors and have another treatment. My most recent infusion took place the day after my father passed away. I noticed that during the infusion, I was able to steer myself away from negative thoughts about that issue. Although I cannot control what visions or experiences I might have, I do have some control over the direction of my thoughts and the after-effects have been positive and helpful. Psychiatry Advisor: Did you have any adverse events from the treatments? Ms Palmer: I had no negative physical effects. I had one mild bad reaction, when I came to the treatment session in an agitated state because I had gotten into a fight with someone right before. I was sad and crying by the time I finished the infusion. But I was in a bad headspace before I even walked into the room. And my experience was not scary, only sad. Psychiatry Advisor: What impact has your treatment had on your day-to-day life? Ms Palmer: My depression had interrupted my schooling. I was in school for 3 and a half years and then I hit a roadblock. After the treatments, I was able to complete my studies and graduated with a BA in business administration and management. My job is stressful. I counterbalance the stress with hobbies like surfing and photography. But there are still stressors, and I have a dog who is reaching the end of life, which is affecting me. The ketamine treatments have helped me to manage those stressors. Sanacora G, Frye MA, McDonald W, et al. A consensus statement on the use of ketamine in the treatment of mood disorders. JAMA Psychiatry. 2017;74(4):399-405. Feder A, Parides M, Murrough JW, et al. Efficacy of intravenous ketamine for treatment of chronic posttraumatic stress disorder: a randomized clinical trial. JAMA Psychiatry. 2014;71(6):681-688. Murrough JW, Soleimani L, DeWilde KE, et al. Ketamine for rapid reduction of suicidal ideation: a randomized controlled trial. Psychol Med. 2015;45(16):3571-3580. Wilkinson ST, Ballard ED, Bloch MH, et al. The effect of a single dose of intravenous ketamine on suicidal ideation: a systematic review and individual participant data meta-analysis. Am J Psychiatry. 2018;175(2):150-158. Schwartz J, Murrough JW, Iosifescu DV. Ketamine for treatment-resistant depression: recent developments and clinical applications. Evid Based Ment Health. 2016;19(2):35-38. Glue P, Medlicott NJ, Harland S, et al. Ketamine’s dose-related effects on anxiety symptoms in patients with treatment refractory anxiety disorders. J Psychopharmacol. 2017;31(10):1302-1305. Glue P, Neehoff SM, Medlicott NJ, Gray A, Kibby G, McNaughton N. Safety and efficacy of maintenance ketamine treatment in patients with treatment-refractory generalised anxiety and social anxiety disorders. J Psychopharmacol. 2018;32(6):663-667. Ionescu DF, Luckenbaugh DA, Niciu MJ, Richards EM, Zarate CA. A single infusion of ketamine improves depression scores in patients with anxious bipolar depression. Bipolar Disord. 2014;17(4):438-443. Bloch MH, Wasylink S, Landeros-Weisenberger A, et al. Effects of ketamine in treatment-refractory obsessive-compulsive disorder. Biol Psychiatry. 2012;72(11):964-970. Rodriguez CI, Kegeles LS, Levinson A, et al. Randomized controlled crossover trial of ketamine in obsessive-compulsive disorder: proof-of-concept. Neuropsychopharmacology. 2013;38(12):2475-2483. Girgenti MJ, Ghosal S, LoPresto D, Taylor JR, Duman RS. Ketamine accelerates fear extinction via mTORC1 signaling. Neurobiol Dis. 2016;100:1-8. Ito W, Erisir A, Morozov A. Observation of distressed conspecific as a model of emotional trauma generates silent synapses in the prefrontal-amygdala pathway and enhances fear learning, but ketamine abolishes those effects. Neuropsychopharmacology. 2015; 40(11):2536-2545. Fattore L, Piva A, Zanda MT, Fumagalli G, Chiamulera C. Psychedelics and reconsolidation of traumatic and appetitive maladaptive memories: focus on cannabinoids and ketamine. Psychopharmacology (Berl). 2018;235(2):433-445. Donoghue AC, Roback MG, Cullen KR. Remission from behavioral dysregulation in a child with PTSD after receiving procedural ketamine. Pediatrics. 2015;136(3):e694-e696. Li L, Vlisides PE. Ketamine: 50 years of modulating the mind. Front Hum Neurosci. 2016;10:612. The San Francisco Veterans Affairs Medical Center is administering ketamine to veterans with post-traumatic stress disorder and depression. Tobias Marton, the director of the ketamine infusion program at the center, said that since the program first launched two years ago, they have treated about 40 patients who had virtually exhausted all other options. While it was not clear where the 40 patients are from, the option is something that is available to Humboldt County veterans who are suffering from PTSD or depression. Marton said that in general, about a third of people diagnosed with depression don’t respond to first, second and third lines of treatment. Many people know of ketamine as a party drug, often referred to as Special K, but it is mainly used medically for anesthesia or pain treatment. While Marton is proceeding with “cautious optimism,” Boris Nikolov, the CEO of Neurosciences Medical Clinic in Miami, Florida, which has a ketamine clinic, believes the application might be a medical breakthrough. Nikolov’s clinic has treated 120 patients with ketamine, including his wife who has PTSD as a result of severe child abuse. Nikolov said most medicines that treat depression take from two to four weeks to start working. Ketamine begins working within hours after it is administered, a process which usually involves an IV infusion over the course of about an hour. “It means that people are going to have another option, an alternative to conventional medications,” he said. According to Burge, MAPS believes the best form of ketamine infusion involves pairing with other forms of psychotherapy such as group or individual counseling. While ketamine is an FDA-approved drug which has been used as an anesthetic as well as a pain reliever, it isn’t officially sanctioned by the FDA to be used for treating mental health disorders. However, Marton said that ketamine has been administered in this fashion for over 18 years now. A company is currently in the process of trying to get an intranasal product approved by the FDA which would administer ketamine through the nasal passage, according to Marton. He expects the FDA’s decision to be announced sometime around March 2019. If the product is approved, he said, VA clinics in rural communities like the one in Eureka would likely be able to start offering ketamine treatments as well. For now, only the location in San Francisco is able to offer the treatment, but Marton said anyone within their service realm, which includes Humboldt County, is invited to consult with the VA about seeking treatment. For decades, ketamine has been used as a medicinal intervention for treating depression, anxiety, mood disorders, and post-traumatic stress disorder (PTSD). While most ketamine advocates recognize its therapeutic potential for treating depression, the many benefits available to those suffering from PTSD are less understood. Do you or a loved one suffer from post-traumatic stress disorder? If so, ketamine infusion therapy may be able to help alleviate your symptoms and provide the relief you need. However, public knowledge about medicinal ketamine is lacking. In this article, we go over everything there is to know about ketamine for treating PTSD. Post-traumatic stress disorder has a medical diagnostic code of ICD-10, which is the code used for reimbursing treatment through your insurance provider. PTSD, unlike other mental illnesses, is characterized by its triggering from a single or series of traumatic events. This explains why PTSD is common among military veterans and first responders. According to a summary article from Mayo Clinic, PTSD is a mental health condition triggered by a terrifying experience. The sufferer subsequently experiences flashbacks, night terrors, and anxiety attacks that they cannot control as a result of the event. It takes a significant amount of time, therapy, and self-care to overcome the trauma of PTSD. There is no known cure for PTSD. However, many experimental medicinal interventions are breaking ground when it comes to finding a cure. For example, the psychoactive drugs MDMA and ketamine have both been studied for their potential to alleviate the negative effects of PTSD. Since the early 2000s, ketamine has gained popularity among medical providers for its application in infusion therapies. In recent years, clinics all around the world have embraced the healing power of ketamine by offering ketamine infusion therapy. This unique therapy involves one or more intravenous injections of ketamine under the supervision of an anesthesiologist. Although ketamine has garnered a reputation as a party drug, its primary value is in its ability to provide fast-acting and potent relief for those with chronic pain issues. Ketamine was first synthesized in the 1960s and was later adopted as an anesthetic in veterinary medicine by the end of the decade. However, use in humans was initially sparse. Ketamine is both an analgesic and anesthetic drug, which means its primary quality is to reduce or prevent pain. This makes ketamine highly effective for treating major depressive disorder, chronic back pain, and PTSD. 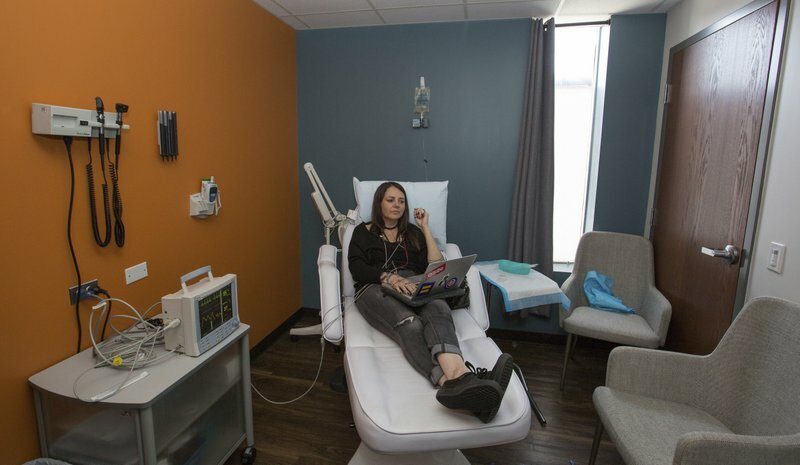 Ketamine infusion clinics across the United States are now offering specialty treatments for those suffering from PTSD. For example, the renowned Ketamine Clinics of Los Angeles has treated hundreds of PTSD patients over the years. Led by Dr. Steven Mandel, M.D., the team at Ketamine Clinics of LA has a proven track record of helping relieve the pain of PTSD. Over the past few years, many articles and news reports have heralded ketamine as a potential wonder drug for treating PTSD. A recent article published by Medscape discussed how a team of researchers at the Icahn School of Medicine at Mount Sinai in New York City used ketamine to fight depressive symptoms in patients with PTSD and severe depression. Is Ketamine Safe for PTSD? There is no doubt that ketamine is a novel treatment for many PTSD sufferers. Since it is a relatively new medicinal intervention, there is some skepticism within the medical community regarding whether it is safe for human use. However, many of these doubts have been quelled over the years thanks to numerous studies and experiences that have proven its safety. The most compelling evidence suggesting that ketamine infusion is safe in humans comes from a 2014 clinical study. This study managed to safely administer low doses of ketamine to treat neuropathic pain states in adults. Over the two-week monitoring period, the patients exhibited numerous benefits while experiencing only marginal or negligible side effects. It should be noted that ketamine is not safe if taken recreationally. 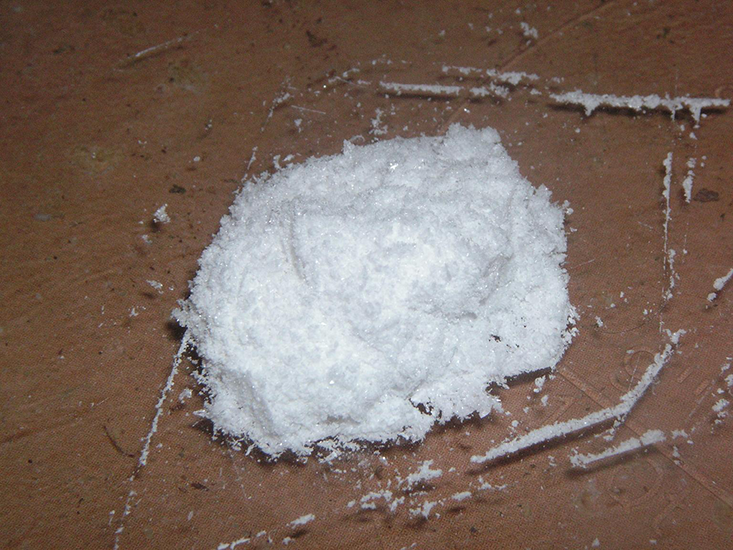 Since its inception, ketamine has gained a reputation as a party drug for its ability to induce dissociative states and euphoria. However, ketamine is not safe to use unless administered by a licensed physician. It is possible to overdose on ketamine, and the side effects of using high doses of ketamine can be fatal. Ketamine: A PTSD Prevention Tool? 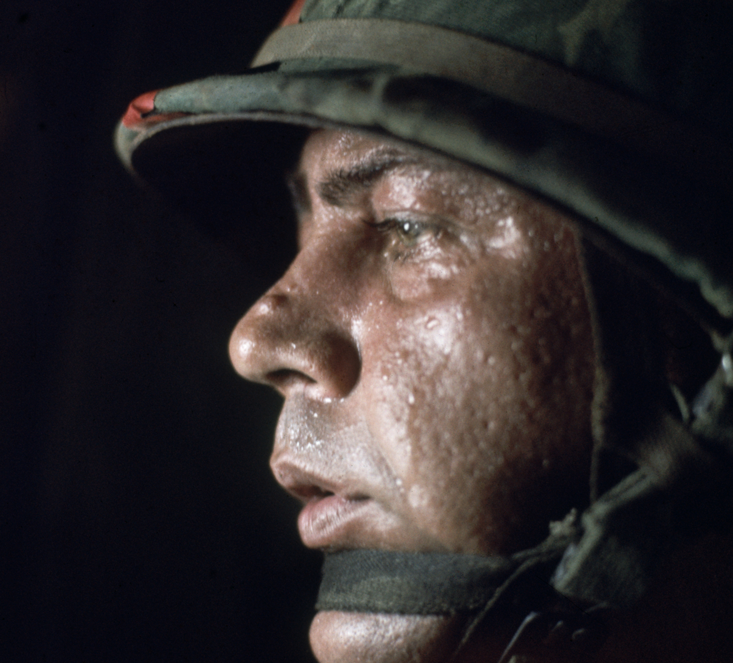 Interestingly, ketamine has found success as a tool for preventing the onset of PTSD. In one case, a research team gave a family of mice a low dose of ketamine before exposing them to electric shocks. 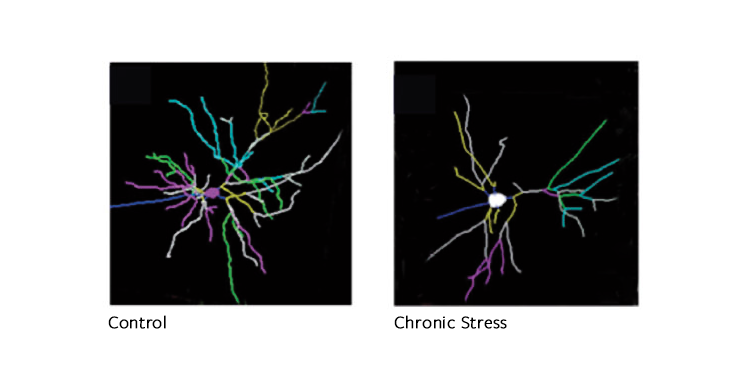 Usually, mice exhibit symptoms of PTSD after being exposed to such a severe stressor. However, the mice that were given ketamine did not exhibit these symptoms at all. Typically, traumatized mice freeze up when they are placed back in the cage in which they were shocked. In this case, the mice who were sedated with ketamine did not freeze when placed in the cage or froze for a significantly reduced duration. This led the research team to believe that ketamine may have value in both preventing and treating PTSD in humans. Is Ketamine Right for You? Ketamine may be an appropriate treatment option for you if you have treatment-resistant PTSD. In other words, you must first be diagnosed with PTSD and have sought the traditional frontline treatments for the condition before considering ketamine infusion therapy. We recommend speaking with your doctor about your PTSD symptoms and the appropriate therapies available to you. Usually, SSRIs or benzodiazepine pharmaceutical drugs, in conjunction with cognitive behavioral therapy (CBT) is the first method of treatment. However, if you do not respond well to this treatment option you should consider seeking ketamine therapy. The combination of naltrexone and ketamine can help treat both symptoms of addiction and depression, a preliminary study by Yale University researchers suggests. 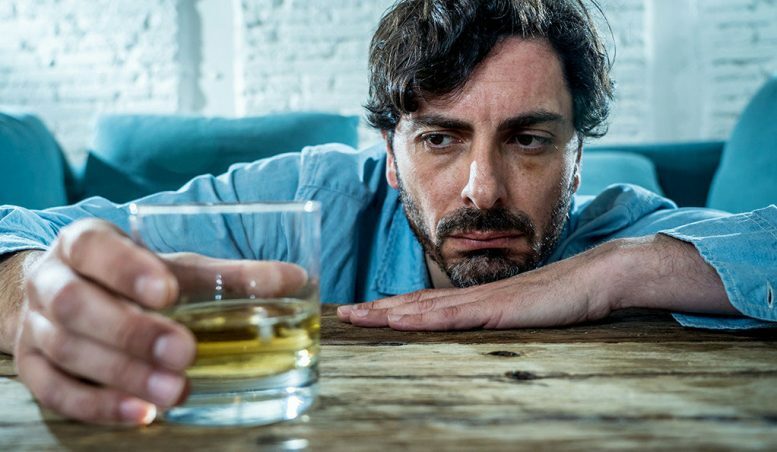 Substance abuse and depression are common in many patients, and efforts to treat both conditions simultaneously have had limited success. One recent study suggested that the antidepressant effects of ketamine might blunted by administration of naltrexone, used to limit cravings of those addicted to opioid drugs and alcohol. A preliminary study of five patients suffering from both depression and substance abuse disorders suggest that isn’t the case. The study was published Jan. 9 in the journal JAMA Psychiatry. The results “raise the possibility that for people who have depression complicated by substance abuse disorders, the combination of ketamine and naltrexone may be a strategy to explore in the effort to optimally treat both conditions,” said senior author John Krystal, Yale’s Robert L. McNeil Jr. Professor of Translational Research; professor of psychiatry, neuroscience, and psychology; and chair of the Department of Psychiatry. Krystal and lead author Gihyun Yoon, assistant professor of psychiatry, treated the five patients suffering from depression and alcohol use disorder with a long-lasting form of naltrexone and then administered ketamine. Four of the five responded to the first ketamine dose and all five found relief from depression after multiple doses. The study also challenges the idea that ketamine might produce antidepressant effects by stimulating opiate receptors. Krystal cautioned that larger studies are needed to confirm beneficial effects of the combination treatment. Krystal and Yoon have provisional patents on the use of ketamine and naltrexone to treat comorbid depression and substance abuse. The study was primarily funded by the U.S. Department of Veterans Affairs. At NOVA Health Recovery, we do use Ketamine and other combinations to treat Alcoholism and Opioid and Pain pill addiction using Ketamine Treatment. Dr. Sendi is Board Certified in Addiction Medicine. Call 703-844-0184 Today. Fairfax, Va 22304. As I have previously reported, off-label use of ketamine for treatment-resistant depression has resulted in numerous anecdotal reports regarding its unique mechanism of action and overwhelming success in symptom reduction among treatment-resistant and suicidal patients. This is an important finding because approximately one-third of patients with major depressive disorder (MDD) do not respond to currently available antidepressants. As a result, The American Psychiatric Association (APA, 2016) had issued guidelines for psychiatrists who wish to use ketamine for this purpose. At the time, a slow intravenous infusion was the primary delivery system used to attain the reported results. There are of course numerous challenges and costs associated with this delivery system, including the use of a clinical facility with available advanced life support systems in place. Ketamine was developed and FDA approved more than 50 years ago as a fast-acting anesthetic with an impressive safety profile. It is still used today in anesthesiology on both pediatric and adult patients and animals. Ketamine in higher doses also has unique dissociative properties, which explains its popularity as a club drug known as “Special K” in the U.S. It is currently a highly abused club drug in southern Asia today. In this well-designed original research conducted by Daly and colleagues, a phase 2, double-blind, doubly randomized, placebo-controlled study was employed to assess the efficacy, safety and dose-response of intranasal esketamine hydrochloride (ketamine) in patients with treatment-resistant depression (TRD). The primary positive endpoint was a statistically significant change from baseline to day eight during each study period, measured by the total score on the Montgomery-Åsberg Depression Rating Scale (MADRS). The results are impressive. Change in MADRS total score in all three esketamine groups was superior to placebo (esketamine 28 mg: −4.2 (2.09), P = .02; 56 mg: −6.3 (2.07), P = .001; 84 mg: −9.0 (2.13), P < .001), with a significant ascending dose-response relationship (P < .001). Even more impressive is the continuous reduction of depressive symptoms despite reduced dosing frequency during the open-label phase. First, the mortality rate for untreated and undertreated depression is between 15 and 20%. Moreover, depression and suicidality are increasing in the U.S., most notably among children and adolescents. Ketamine is thought to inhibit the N-Methyl-D-Aspartame (NMDA) system, which is unrelated to our 50-year-old catecholamine hypothesis, suggesting that the inhibition of NDMA is a viable, and perhaps primary, target for future intervention. In addition, there is growing anecdotal data suggesting that ketamine may also be a viable treatment for pain and perhaps even addictive disease. Second, the results of this important study show that esketamine has a significant effect on symptom reduction among patients with TRD (Montgomery- Asberg Depression Rating Scale) after only one week of twice-weekly administration, which is substantially faster than the SSRIs or SSNRIs. It is also of interest that esketamine is well tolerated with few adverse effects, evidenced by the fact that a mere 5% of participants discontinued treatment during the double-blind phase. In addition, the use of an intranasal delivery system allows lower dosage compared to oral administration by avoiding first-pass hepatic metabolism. Third, because of its low molecular weight (238 Daltons), esketamine is a good candidate for intranasal delivery because lower molecular weight improves nasal mucosa absorption. This route will get the dose to the brain rapidly, and for reasons that remain unclear, the therapeutic effect remains when using a twice-per-week dosing system. All this is to say that compared to currently available oral antidepressant medications, which have a poor adherence rate, esketamine should vastly improve treatment adherence. Combined with few reported adverse effects, more people will get well. This is good day to be a neuroscientist. Ella J. Daly, MD; Jaskaran B. Singh, MD; Maggie Fedgchin, PharmD; Kimberly Cooper, MS; Pilar Lim, PhD; Richard C. Shelton, MD; Michael E. Thase, MD; Andrew Winokur, MD, PhD; Luc Van Nueten, MD; Husseini Manji, MD, FRCPC; Wayne C. Drevets, MD Efficacy and Safety of Intranasal Esketamine Adjunctive to Oral Antidepressant Therapy in Treatment-Resistant Depression. A Randomized Clinical Trial. JAMA Psychiatry. doi:10.1001/jamapsychiatry.2017.3739. Published online December 27, 2017. Ketaminealexandria.com    703-844-0184 Call for an infusion to treat your depression. PTSD, Anxiety, CRPS, or other pain disorder today. CHICAGO (AP) — It was launched decades ago as an anesthetic for animals and people, became a potent battlefield pain reliever in Vietnam and morphed into the trippy club drug Special K.
Now the chameleon drug ketamine is finding new life as an unapproved treatment for depression and suicidal behavior. Clinics have opened around the United States promising instant relief with their “unique” doses of ketamine in IVs, sprays or pills. And desperate patients are shelling out thousands of dollars for treatment often not covered by health insurance, with scant evidence on long-term benefits and risks. Chicago preschool teacher Lauren Pestikas long struggled with depression and anxiety and made several suicide attempts before trying ketamine earlier this year. The price tag so far is about $3,000, but “it’s worth every dime and penny,” said the 36-year-old. Pestikas said she feels much better for a few weeks after each treatment, but the effects wear off and she scrambles to find a way to pay for another one. For now, ketamine has not received approval from the U.S. Food and Drug Administration for treating depression, though doctors can use it for that purpose. Ketamine has been around since the 1960s and is widely used as an anesthesia drug during surgery because it doesn’t suppress breathing. Compared to opioids such as morphine, ketamine isn’t as addictive and doesn’t cause breathing problems. And some studies have shown that ketamine can ease symptoms within hours for the toughest cases. Its potential effects on depression were discovered in animal experiments in the late 1980s and early 1990s showing that glutamate, a brain chemical messenger, might play a role in depression, and that drugs including ketamine that target the glutamate pathway might work as antidepressants. Conventional antidepressants like Prozac target serotonin, a different chemical messenger, and typically take weeks to months to kick in — a lag that can cause severely depressed patients to sink deeper into despair. Ketamine’s potential for almost immediate if temporary relief is what makes it so exciting, said Dr. Jennifer Vande Voort, a Mayo Clinic psychiatrist who has used ketamine to treat depression patients since February. “We don’t have a lot of things that provide that kind of effect. What I worry about is that it gets so hyped up,” she said. The strongest studies suggest it’s most useful and generally safe in providing short-term help for patients who have not benefited from antidepressants. That amounts to about one-third of the roughly 300 million people with depression worldwide. “It truly has revolutionized the field,” changing scientists’ views on how depression affects the brain and showing that rapid relief is possible, said Yale University psychiatrist Dr. Gerard Sanacora, who has done research for or consulted with companies seeking to develop ketamine-based drugs. But to become standard depression treatment, he said, much more needs to be known. Last year, Sanacora co-authored an American Psychiatric Association task force review of ketamine treatment for mood disorders that noted the benefits but said “major gaps” remain in knowledge about long-term effectiveness and safety. Most studies have been small, done in research settings and not in the real world. When delivered through an IV, ketamine can cause a rapid increase in heart rate and blood pressure that could be dangerous for some patients. Ketamine also can cause hallucinations that some patients find scary. Dr. Rahul Khare, an emergency medicine specialist in Chicago, first learned about ketamine’s other potential benefits a decade ago from a depressed and anxious patient he was preparing to sedate to fix a repeat dislocated shoulder. “He said, ‘Doc, give me what I got last time. For about three weeks after I got it I felt so much better,’” Khare recalled. Khare became intrigued and earlier this year began offering ketamine for severe depression at an outpatient clinic he opened a few years ago. He also joined the American Society for Ketamine Physicians, formed a year ago representing about 140 U.S. doctors, nurses, psychologists and others using ketamine for depression or other nonapproved uses. There are about 150 U.S. ketamine clinics, compared with about 20 three years ago, said society co-founder Dr. Megan Oxley. Khare said the burgeoning field “is like a new frontier” where doctors gather at meetings and compare notes. He has treated about 50 patients with depression including Pestikas. They’re typically desperate for relief after failing to respond to other antidepressants. Some have lost jobs and relationships because of severe depression, and most find that ketamine allows them to function, Khare said. Typical treatment at his clinic involves six 45-minute sessions over about two weeks, costing $550 each. Some insurers will pay about half of that, covering Khare’s office visit cost. Patients can receive “booster” treatments. They must sign a four-page consent form that says benefits may not be long-lasting, lists potential side effects, and in bold letters states that the treatment is not government-approved. At a recent session, Pestikas’s seventh, she leaned back on a reclining white examining-room chair as a nurse hooked her up to a heart and blood pressure monitor. She grimaced as a needle was slipped into the top of her left palm. Khare reached up with a syringe to inject a small dose of ketamine into an IV bag hanging above the chair, then dimmed the lights, pulled the window curtains and asked if she had questions and was feeling OK.
“No questions, just grateful,” Pestikas replied, smiling. Pestikas listened to music on her iPhone and watched psychedelic videos. She said it was like “a controlled acid trip” with pleasant hallucinations. The trip ends soon after the IV is removed, but Pestikas said she feels calm and relaxed the rest of the day, and that the mood boost can last weeks. 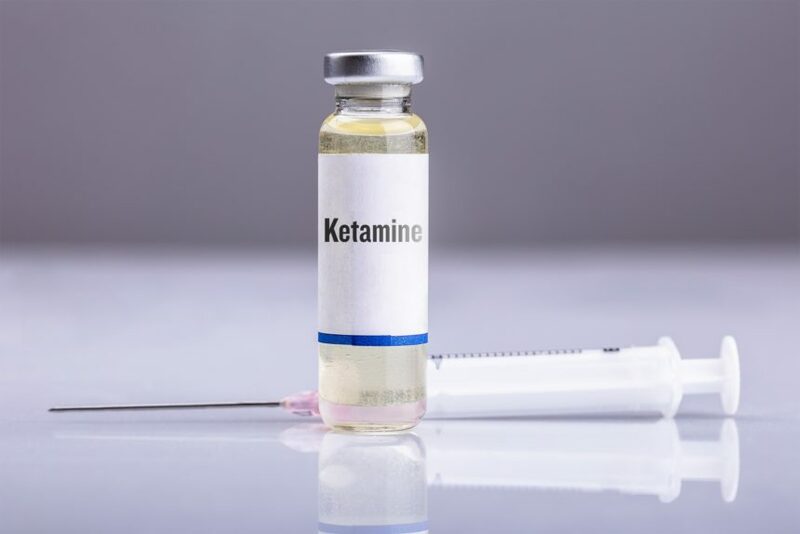 Studies suggest that a single IV dose of ketamine far smaller than used for sedation or partying can help many patients gain relief within about four hours and lasting nearly a week or so. Exactly how ketamine works is unclear, but one idea is that by elevating glutamate levels, ketamine helps nerve cells re-establish connections that were disabled by depression, said ketamine expert Dr. Carlos Zarate, chief of experimental therapies at the National Institute of Mental Health. A small Stanford University study published in August suggested that ketamine may help relieve depression by activating the brain’s opioid receptors. Janssen Pharmaceuticals and Allergan are among drug companies developing ketamine-like drugs for depression. Janssen leads the effort with its nasal spray esketamine. The company filed a new drug application in September. Meanwhile, dozens of studies are underway seeking to answer some of the unknowns about ketamine including whether repeat IV treatments work better for depression and if there’s a way to zero in on which patients are most likely to benefit. 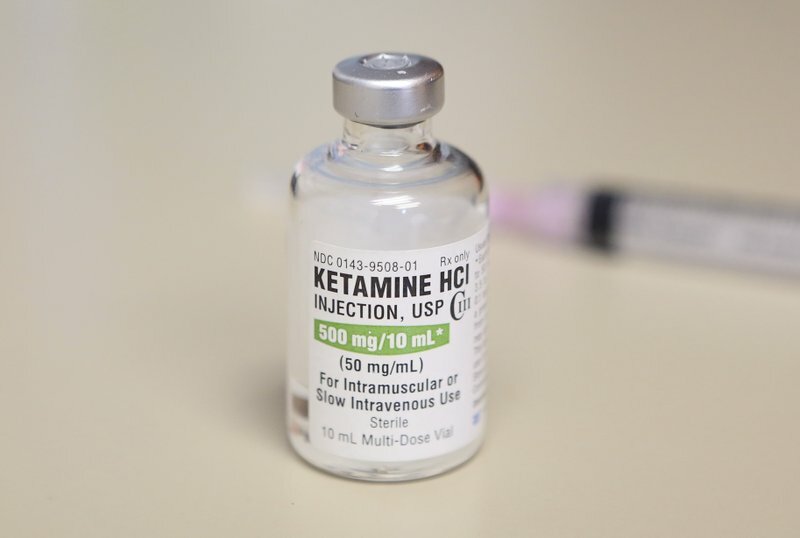 Until there are answers, Zarate of the mental health institute said ketamine should be a last-resort treatment for depression after other methods have failed. A North Texas woman said a popular club drug and animal tranquilizer saved her from a life of depression and suicidal thoughts. You may have heard of the drug before, as Special K on the street. it was designed as a horse tranquilizer, but Ketamine is gaining popularity as a treatment for depression. Some doctors believe the controversial drug will become a game-changer in slowing the nation’s suicide epidemic. Tiffany McCombie, a 40-year-old mother of one, knows what depression feels like in its darkest moments. “I definitely was feeling what I would consider suicidal, not really wanting to live, not really wanting to die, just numb. That’s not a healthy place for me,” McCombie said. She said she has lived with depression and Bipolar disorder for 30 years, has tried dozens of medications and supplements to combat it, but nothing, she said, has worked as well as the Ketamine infusions she gets at Rise Wellness Center. She’s had six of them in ten months.”I had the right attitude and wanted to be healed and believing that it was going to happen for me and my brain. It happened. It cut down the mood stabilizers and antidepressants I had been on for years. I don’t take them at all,” she said. More studies,like this one, are finding that Ketamine may be more effective and work faster than traditional antidepressants. 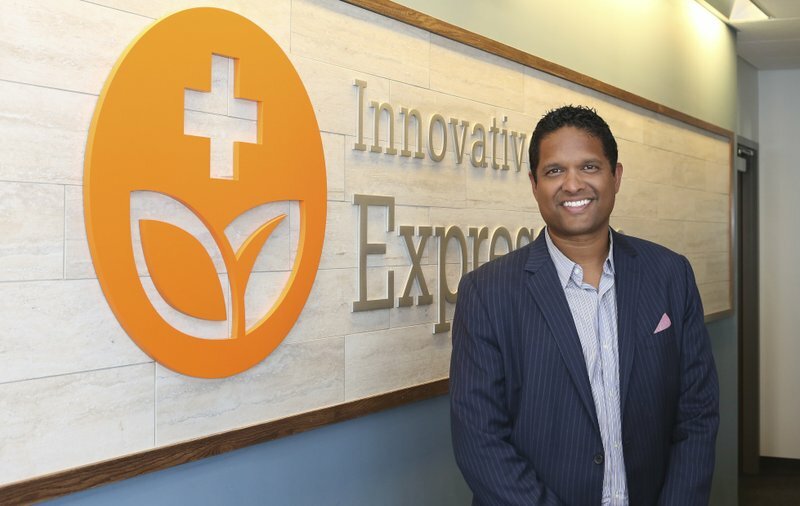 A local team of anesthesiologists had used the drug before, as an anaesthetic inside the operating room, but after seeing its potential to treat depression, they opened Rise Wellness Center, which specializes in Ketamine infusions. “We get people that are so far down and so dark that we need this to get them out, to get them up, to get them moving. No drug does that like Ketamine,” said Dr. Renaud Rodrigue, a pain management physician at Rise Wellness Center. Experts say Ketamine can be dangerous, even deadly, if abused or taken in large doses. Even though it’s not FDA-approved to treat depression, Dr. Rodrigue said, when given in small doses and in a clinical setting, 90 percent of his patients with severe depression reported long-term benefits. Researchers at the University of Illinois published this study about how Ketamine may trigger a depression-fighting protein in the brain. “This protein changed the game for us. We know now there’s something that is created just by the drug itself, which is staying in the central nervous system and is exerting this affect way beyond the duration of the drug,” said Dr. Rodrigue. McCombie said Ketamine saved her life. Could Ketamine conquer Treatment resistant depression? A notorious drug that can cause dangerous hallucinations and even death when abused may be the key to treating severely depressed patients when used under proper physician care. UT Southwestern’s Dr. Lisa Monteggia has uncovered how the drug Ketamine works so rapidly and why patients are seeing success when other treatments have failed. Megan Joyce: Everything in my life seems great. Narrator: Megan Joyce’s life may look picture perfect. Megan: I graduated college. I got married. He’s an amazing person. He is incredibly supportive. Narrator: But what these happy photos hide is a relentless inner struggle. Megan: This is not something that I love to admit, but I fight for my life every single day. Narrator: The 27-year-old has spent more than a decade battling severe depression. It triggers for no obvious reason. Megan: They have defined my bipolar illness as treatment resistant. Narrator: She says she tried every medication in the books … as well as checking into inpatient and outpatient treatment centers. Nothing worked. Until doctors at UT Southwestern Medical Center tried something bold. Ketamine infusion therapy. Megan: I don’t know if I would be here without the Ketamine treatment. I drive from Austin every 10 days, and I come for treatment, and I’m in the hospital for about 5 hours, and then I go home the same day. Narrator: Several studies show ketamine can quickly stabilize severely depressed patients. But it does come with risks. Dr. Madhukar Trivedi: There is a risk for addiction so that if people start taking Ketamine on their own on the black market, then that can be very dangerous. There are toxic effects in the brain if you overdose. On the other hand, for patients who do well on this and are getting the right dose under the guidance of a physician, it can be life saving. Megan: When I have the IV in, it’s for 40 minutes, and then I stay for 2 hours after because it is an anesthetic so they want to make sure you don’t have adverse side effects. Narrator: Dr. Madukhar Trivedi is closely monitoring Joyce … as well as the work his colleagues are doing at the bench. Dr. Trivedi: At UT Southwestern, we have the whole breadth of work being done. There are people working like Dr. Monteggia in basic research. Understanding the exact mechanism of how Ketamine changes molecularly and changes the mechanism of action. Dr. Lisa Monteggia: We got involved with how Ketamine triggers an anti-depressant effect because of the real need. Some of the recent clinical data has really shown that about a third of all patients don’t respond to anti-depressants. So, what do you do for treatment for those individuals? Narrator: UT Southwestern’s Dr. Lisa Monteggia is a neuroscientist whose lab pinpointed a key protein that helps tigger Ketamine’s rapid antidepressent effects in the brain. Whereas traditional antidepressents can take up to 8 weeks to work, the effects of ketamine are seen within 60 to 90 minutes. Dr. Monteggia: The idea of trying to understand how you generate a rapid anti-depressant response in patients … it’s really the first time we’ve been able to study it. Narrator: Her study, published in the prestigious journal Nature, shows that ketamine blocks a protein responsible for a range of normal brain functions. Dr. Monteggia: How we think Ketamine triggers an anti-depressant effect, this blocking the NMDA receptor, we think may also be causing the side effects associated with Ketamine. One of the things we’re working on is to try and see if we can identify compounds, slight derivatives perhaps, that may have the beneficial effects of Ketamine, in terms of triggering anti-depressant effects, without the side effects. Narrator: In the meantime, Joyce remains optimistic for her future and the millions of others trying to defeat depression. Megan: That’s why I really sought out Ketamine is I really wanted to give back and just have a chance at a semi-normal life. The deaths of designer Kate Spade on Tuesday and TV Chef Anthony Bourdain Friday morning are bringing new attention to depression and suicide. A new Center for Disease Control and Prevention report reveals suicide rates have risen 30 percent across much of the country since 1999. This patient, we’ll call Lisa, is composing a letter to the editor about her 20-year fight to stay alive. “I know how tall the bridge is. I know how many seconds it takes to land,” Lisa said. Lisa is an attorney with severe depression. Conventional medicines could not suppress her suicidal thoughts. She was referred to Dr. David Feifel who NBC 7 first also spoke to three years ago. Patients travel from as far away as Canada to undergo his Ketamine therapy. “Sort of a psychedelic experience. It’s also been termed dissociative experience because it is sort of an out-of-body feeling,” Dr. Feifel said of his therapy. Dr. Feifel says low doses of Ketamine have an almost immediate effect on his patients, unlike conventional anti-depressants that can take weeks to build up a therapeutic level. While Ketamine doesn’t stay in the body more than a day, its effects can last for months. “It seems to be able to vaporize people’s sense of wanting to take their life.” Dr. Feifel said. Lisa has received some 35 treatments over the last four months. “I walk in here crappy, I’ll leave happy. It is a remarkable, remarkable experience that in 20 years nothing has ever come close” Lisa said. Her goal is to need fewer treatments and experience longer-lasting effects. Lisa’s hope for the so-called “untreatable community” of depressed people is they find help. Subanesthetic doses of ketamine have rapid (within hours), robust (across a variety of symptoms), and relatively sustained (typically up to one week) antidepressant effects—even in patients with TRD (treatment resistant depression). Clinical studies show that about 50% of patients with TRD have a significant decrease in symptoms within 24 hours of a single intravenous subanesthetic ketamine dose. Animal models show that ketamine’s antidepressant effects are likely mediated by its antagonism of N-methyl-D-aspartate (NMDA) receptors through increased α-amino-3-hydroxy-5- methyl-4-isoxazolepropionic acid (AMPA)–mediated glutamatergic signaling. This triggers activation of intracellular synaptogenic pathways, most notably in the mechanistic target of rapamycin (mTOR)–signaling pathway, which also has implications in many other psychiatric disorders. With regard to MDD patients, decreased glutamate has been noted in various prefrontal regions, including the dorsolateral prefrontal cortex (dlPFC), dorsomedial PFC (dmPFC), and anterior cingulate cortex (ACC), when compared to controls.8–10 This shortage of glutamate makes ketamine an ideal treatment for MDD; by creating a surge in glutamate levels in regions of the brain that suffer from a glutamate deficit, ketamine may provide some normalization of glutamate levels in patients with MDD. This “glutamate surge” hypothesis has dominated as the primary theory of ketamine’s antidepressant mechanism. Ketamine may work through additional receptors, as it is known to have effects on several opioid receptors, adrenergic receptors, and several serotonin and norepinephrine transporters.17–19 It is also possible that acute dissociative side effects of ketamine may be mediating antidepressant response. Certain themes have emerged with Ketamine. First are our findings of convergent brain regions implicated in MDD and how ketamine modulates those areas. Specifically, the subgenual ACC has been a region of interest in many previous studies. In relation to emotion and cognition, ketamine appears to reduce brain activation in regions associated with self-monitoring, to increase neural regions associated with emotional blunting, and to increase neural activity in reward processing. Overall, ketamine’s effects were most notably found in the subgenual ACC, PCC, PFC, and hippocampus. Abnormalities in overlapping regions (specifically, the dorsal and subgenual ACC, amygdala, hippocampus, and ventral striatum) have been implicated, via a growing body of neuroimaging literature, in the pathophysiology of depression. The subgenual ACC, in particular, has been a frequently studied area of interest concerning ketamine and MDD. FMRI found significant reductions in subgenual ACC coupling with hippocampus, retrosplenial cortex, and thalamus. Immediate reductions in subgenual ACC blood flow and focal reductions in OFC blood flow strongly predicted dissociation. By taking the focus off “oneself” and placing it on other stimuli, it is possible that ketamine decreases awareness of negative experiences and consequently improves mood. Ketamine’s potential use in both research and treatment is promising indeed. Neural correlates of exercise training in individuals with schizophrenia and in healthy individuals A systematic review. Ketamine and Ketamine Metabolite Pharmacology Insights into Therapeutic Mechanisms. KETAMINE FOR TREATMENT-RESISTANT UNIPOLAR AND BIPOLAR MAJOR DEPRESSION – CRITICAL REVIEW AND IMPLICATIONS FOR CLINICAL PRACTICE. Rapid-Acting Antidepressants Mechanistic Insights and Future Directions. Ketamine and rapid-acting antidepressants a new era in the battle against depression and suicide. Ketamine normalizes brain activity during emotionally valenced attentional processing in depression. Glutamate and Gamma-Aminobutyric Acid Systems in the Pathophysiology of Major Depression and Antidepressant Response to Ketamine. S-Adenosyl Methionine in the Therapy of Depression and Other Psychiatric Disorders. Ketamine for Depression, 2 Diagnostic and Contextual Indications. The role of adipokines in the rapid antidepressant effects of ketamine. 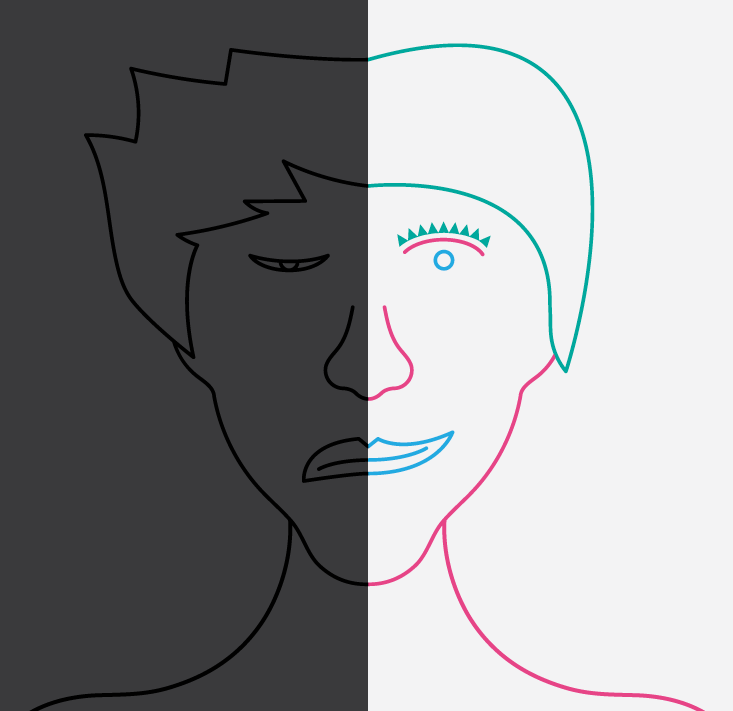 Medical comorbidity in bipolar disorder The link with metabolic-inflammatory systems. Role of neuro-immunological factors in the pathophysiology of mood disorders. The Impact of a Single Nucleotide Polymorphism in SIGMAR1 on Depressive Symptoms in Major Depressive Disorder and Bipolar Disorder. Metabolic syndrome in psychiatric patients overview, mechanisms, and implications. Pharmacologic implications of inflammatory comorbidity in bipolar disorder. Ketamine has much support in the use of hard-to-treat depression and suicidal behaviors. Below are studies and their links, including a meta-analysis, which demonstrate the effect of Ketamine. Also a recent trial by Carlos Zarate shows the heterogenous nature of response to Ketamine . It is difficult to say who is going to be lifted from their depression completely or partially respond, but in the study, Dr. Zarate showed that patients with a long history of suicidal thinking and self-harm will have less of a response in some cases. Repeat intravenous treatment with low doses of the anesthetic drug ketamine quickly reduced suicidal thoughts in a small group of patients with treatment-resistant depression. In their report receiving Online First publication in the Journal of Clinical Psychiatry, a team of Massachusetts General Hospital (MGH) investigators report the results of their study in depressed outpatients who had been experiencing suicidal thought for three months or longer. It is well known that having suicidal thoughts increases the risk that patients will attempt suicide, and the risk for suicide attempts is 20 times higher in patients with depression than the general population. The medications currently used to treat patients with suicidal thinking — including lithium and clozapine — can have serious side effects, requiring careful monitoring of blood levels; and while electroconvulsive therapy also can reduce suicidal thinking, its availability is limited and it can have significant side effects, including memory loss. Primarily used as a general anesthetic, ketamine has been shown in several studies to provide rapid relief of symptoms of depression. In addition to excluding patients who reported current suicidal thinking, many of those studies involved only a single ketamine dose. 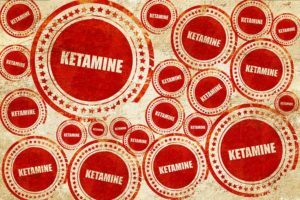 The current study was designed not only to examine the antidepressant and antisuicidal effects of repeat, low-dose ketamine infusions in depressed outpatients with suicidal thinking that persisted in spite of antidepressant treatment, but also to examine the safety of increased ketamine dosage. The study enrolled 14 patients with moderate to severe treatment-resistant depression who had suicidal thoughts for three months or longer. After meeting with the research team three times to insure that they met study criteria and were receiving stable antidepressant treatment, participants received two weekly ketamine infusions over a three-week period. The initial dosage administered was 0.5 mg/kg over a 45 minute period — about five times less than a typical anesthetic dose — and after the first three doses, it was increased to 0.75 mg/kg. During the three-month follow-up phase after the ketamine infusions, participants were assessed every other week. The same assessment tools were used at each visit before, during and after the active treatment phase. At the treatment visits they were administered about 4 hours after the infusions were completed. The assessments included validated measures of suicidal thinking, in which patients were directly asked to rank whether they had specific suicide-related thoughts, their frequency and intensity. While only 12 of the 14 enrolled participants completed all treatment visits — one dropped out because of ketamine side effects and one had a scheduling conflict — most of them experienced a decrease in suicidal thinking, and seven achieved complete remission of suicidal thoughts at the end of the treatment period. Of those seven participants, two maintained remission from both suicidal thinking and depression symptoms throughout the follow-up period. While there were no serious adverse events at either dose and no major differences in side effects between the two dosage levels, additional studies in larger groups of patients are required before any conclusions can be drawn. Ketamine was significantly more effective than a commonly used sedative in reducing suicidal thoughts in depressed patients, according to researchers at Columbia University Medical Center (CUMC). They also found that ketamine’s anti-suicidal effects occurred within hours after its administration. The findings were published online last week in the American Journal of Psychiatry. According to the Centers for Disease Control and Prevention, suicide rates in the U.S. increased by 26.5 percent between 1999 and 2015. Most antidepressant trials have excluded patients with suicidal thoughts and behavior, limiting data on the effectiveness of antidepressants in this population. However, previous studies have shown that low doses of ketamine, an anesthetic drug, causes a rapid reduction in depression symptoms and may be accompanied by a decrease in suicidal thoughts. The 80 depressed adults with clinically significant suicidal thoughts who enrolled in this study were randomly assigned to receive an infusion of low-dose ketamine or midazolam, a sedative. Within 24 hours, the ketamine group had a clinically significant reduction in suicidal thoughts that was greater than with the midazolam group. The improvement in suicidal thoughts and depression in the ketamine group appeared to persist for up to six weeks. Those in the ketamine group also had greater improvement in overall mood, depression, and fatigue compared with the midazolam group. Ketamine’s effect on depression accounted for approximately one-third of its effect on suicidal thoughts, suggesting the treatment has a specific anti-suicidal effect. 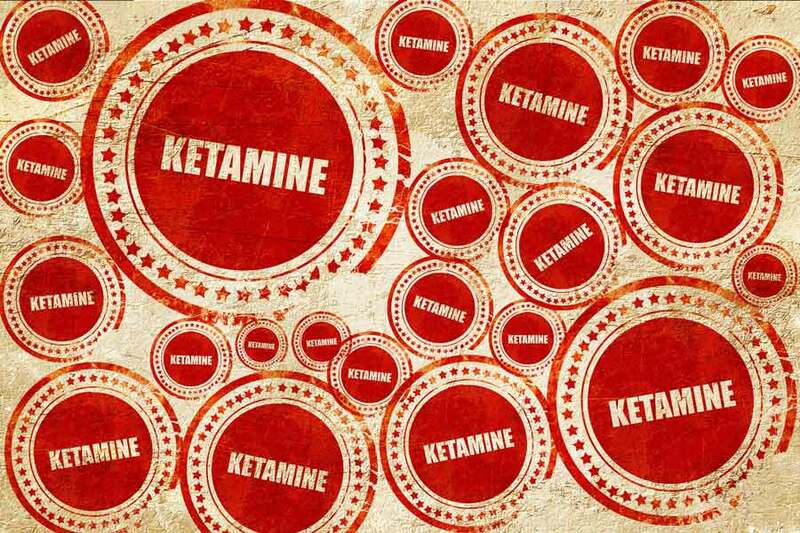 Side effects, mainly dissociation (feeling spacey) and an increase in blood pressure during the infusion, were mild to moderate and typically resolved within minutes to hours after receiving ketamine. of ketamine for the treatment of suicidal ideation (SI). reported in the literature as receiving therapeutic ketamine. and the most favorable risk/benefit ratio. though the effects are transient. results in the effects of ketamine on suicidal ideation. action, but its long-term effects need further investigation. ketamine has been shown to increase glutamate levels . 31] and interferon-b  induce depression and suicidality. brain immune activation in the pathogenesis of suicidality. both TRD and/or bipolar depression [4, 8, 9, 11, 16–18]. and the mechanism of action. dose (0.5 mg/kg) rapidly improved depressive symptoms. a constant infusion for 40 min at a rate of 0.5 mg/kg. logistic regressions. Putative predictors included demographic variables and various peripheral plasma markers. (44%), and Remitters (27%). For Responders and Remitters, maximal improvements were achieved by Day 1.
rather than CSF, markers were used. SI were less likely to respond or remit post-ketamine. rapid-acting treatments that can be used in emergency settings. of personalized medicine, two important issues must be addressed. First, little is known about the acute course of SI following ketamine. accurately reflects the phenomenon of suicidal thoughts. traditional methods of categorizing response to treatment. were those with the most severe SI and a history of self-injury. group, highlighting the potential limitations of the 50% response approach. phenomena under study as they are, as opposed to what they should be. nuanced understanding of the nature of SI response to ketamine. self-injury or SI may indicate resistance to rapid changes in SI. response to ketamine and which ones may benefit from other interventions. result may have been spurious and should be interpreted with caution. plasma BDNF levels were not associated with responder class. might prove useful for predicting SI response. not necessarily correspond with an overall reduction in suicide risk. a result, only a subset of the sample could be used for predictive analyses. baseline were not likely to experience an SI response to ketamine. Dec 29, 2017 - Please call Sendi Hair Loss Center now at 703-574-0974 for quality Hair Restoration services in Alexandria, VA.